Let’s face it, travelling is bad for the environment. Planes consume thousands of gallons of fuel, cars and buses do the same, and often, hotels would rather have a larger carbon footprint if it means making a few extra bucks here and there. Luckily, some hotels are making a name for themselves as eco-friendly establishments, a name that is not only catchy but could prove to be a major turning point in environmental consciousness for the tourism industry as a whole. 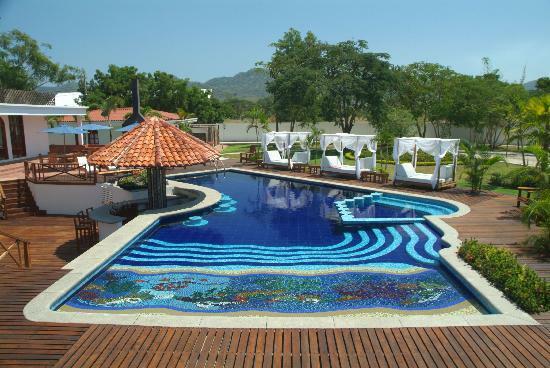 Welcome to Casa Ceibo Boutique and Spa, located in beautiful Bahia de Caraquez, Ecuador! According to the 18-room hotel’s website, the relatively new establishment offers a wide variety of activities ranging from island tours to wetland excursions, all while remaining ecologically friendly. Better yet, when the hotel touts its environmental consciousness, it’s not just because they recycle glass bottles at the end of the day. Some of its outstanding environmental efforts include hiring local staff, reforesting surrounding mangroves, teaming up with local environmental organizations, and even backing a clean-water program for local communities. Next time you’re in Ecuador, why not check out this luxurious, eco-friendly hotel? After all, the green aspect is apparently not all the place has going for it. According to reviews posted on TripAdvisor, the hotel boasts a rating no short of “excellent.” The hotel’s official website provides potential guests with booking and contact information, as well as a list of activities and local pastimes. Buen viaje! Good morning from Siem Reap, Cambodia! I am so deeply interest to register my hotel to get green eco-friendly award, could you please kindly let me know how can i register? now my hotel is doing a green policy to protect our mother earth and so many project to help the environment. I look forward to hearing from you and appreciate your advice. I would recommend reading this site, in particular the section titled ‘Certification’. I believe it makes several useful points that you would no doubt find interesting.